But, I don’t want to be a slacker anymore…but I didn’t get a chance to cook up anything and take pictures. What to do? 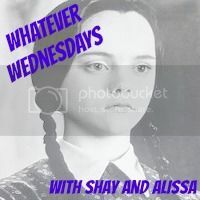 This entry was posted in Chit chat, Recipes, Whatever Wednesday. Bookmark the permalink. whew, someone else didn’t cook either. your photos look delicious and are making me hungry.